If you’ve been holding out on picking up the Power Rangers Legacy Collection DVD set, which contains every single episode of Power Rangers from the first episode of Mighty Morphin Power Rangers thru the last episode of Power Rangers Megaforce, now is a GREAT time to pick it up! Shout! Factory is offering 20% off any order over $200 as well as free shipping. 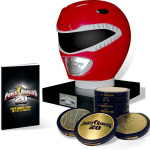 Currently, the Legacy Collection is $400 … but with 20% off and free shipping, your order becomes a measly $320 which is more or less half of what the original offered price was when this was released two years ago. Click here and order yours today before they’re gone! Power Rangers Turns 21 Today! On this day, August 28th 1993, the Mighty Morphin Power Rangers made their incredible debut on US airwaves! And 21 years later, the franchise is still a booming success story with no stop in sight. 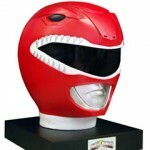 Though the Power Rangers have gone through numerous iterations, transitions, actors, rangers, zords, enemies, movies, seasons, ups, downs, and everything else in between, it stands out as one of the most recognizable and marketable brands out there. With consistently strong toy sales, TV ratings, and a growing fan base of both old and brand new fans, is it any wonder Power Rangers has become the international success it is today? Take some time out of your day today to celebrate Power Rangers coming of age for it’s 21st birthday. Share with us some of your favorite moments from the franchise. Perhaps a favorite battle, a specific character you love, maybe even just a great costume design or piece of music. Anything goes for this discussion! If you’re on social media jumping in on things, be sure to use the hashtag #PowerRangers21 and make sure your special moment is seen and shared by as many people as possible! Power Rangers has never been stronger, and it’s all because of the fanbase it’s sustained over the last 21 years. From Mighty Morphin Power Rangers to Power Rangers Dino Charge and beyond! Let’s continue to make it successful whether it’s for another 21 years or another 100. Live the legacy! Can you tell that the convention season is in full swing? Every weekend there’s another show with another toku-related guest appearing! And we’re struggling to keep up! But for those of you who are planning to attend this year’s Anime Expo you’re in for a special treat! For starters – fans of Kamen Rider Gaim will have a chance to meet the man responsible for this incredible series. The writer of the series, Gen Urobuchi, will be in attendance at this year’s show. He will be hosting his own panel to discuss his current and upcoming projects, and will be appearing at the Good Smile Company booth to sign autographs on Friday and Saturday starting at 11:00am. And for you Power Rangers fans, you too have reason to rejoice! 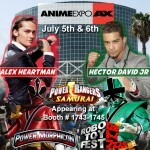 Alex Heartman, known better as Jayden the Power Rangers Samurai Red Ranger, as well as Hector David Jr. also known as Mike the Power Rangers Samurai Green Ranger will be in attendance on both Saturday and Sunday at the Power Morphicon/Robo Toy Fest booth. Exact times and autograph opportunities have yet to be listed. Anime Expo 2014 is THIS weekend. In fact, it technically starts Thursday, July 3rd and runs through Sunday, July 6th. We are pleased to state that TokuNation.com will be in attendance (simply as fans), but will share any and all information with you that’s made available – especially anything Kamen Rider Gaim related that Gen Urobuchi reveals! Stay tuned! The Official Power Morphicon convention is now officially the largest one yet with over 80 confirmed Power Rangers actors, writers, voice actors, producers, and more scheduled to attend. The guest list grew some more today with the announcement of two new guests! If you haven’t registered yet then you’re obviously not planning to attend, because any Power Ranger fan would want to attend. Not only are there alumni from Power Rangers, but also Big Bad Beetleborgs, VR Troopers, Masked Rider, Digimon, and Kamen Rider Dragon Knight in attendance. For any and all American toku fans, this show can NOT be missed! Hurry up because rumor is registration will close in the next month or two! Click here to begin your registration process for Power Morphicon! TokuNation.com is proud to be attending as a Platinum Member, giving us early access and front row seats to all activities. We will provide coverage of the show and will feature live podcasts from Kickback from our own Talkin Toku Podcast, as well as @trekkieb47 and @TheCinemaSlob from our friends at the Ranger Command Podcast! See you at the show!